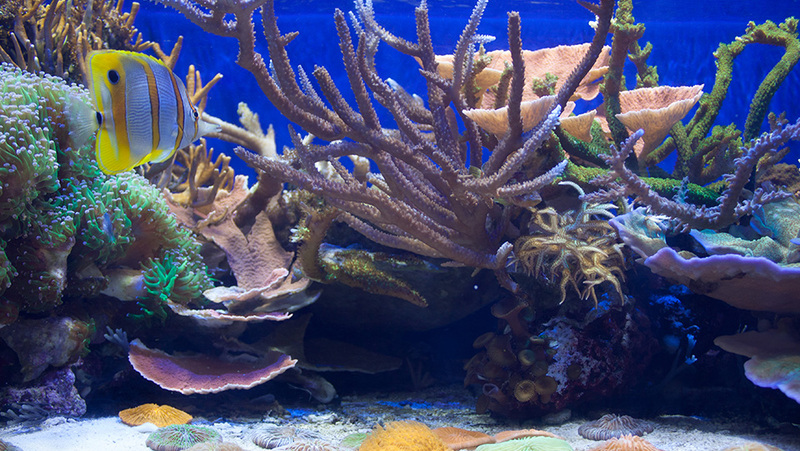 An exhibit of aquatic life designed from the inside out. As the academy awaited the construction of their new home, they required a temporary aquarium to exhibit and grow their living specimen collection, while telling their institution’s story of conservation and natural resource stewardship. We took the opportunity to go beyond constructing an attractive environment and displaying the life sustaining tanks. Instead we reimagined the experiential learning potential by turning the traditional aquarium inside out. We moved the often hidden back of house activities of experts caring for the sea life out into the open amongst the visitors. 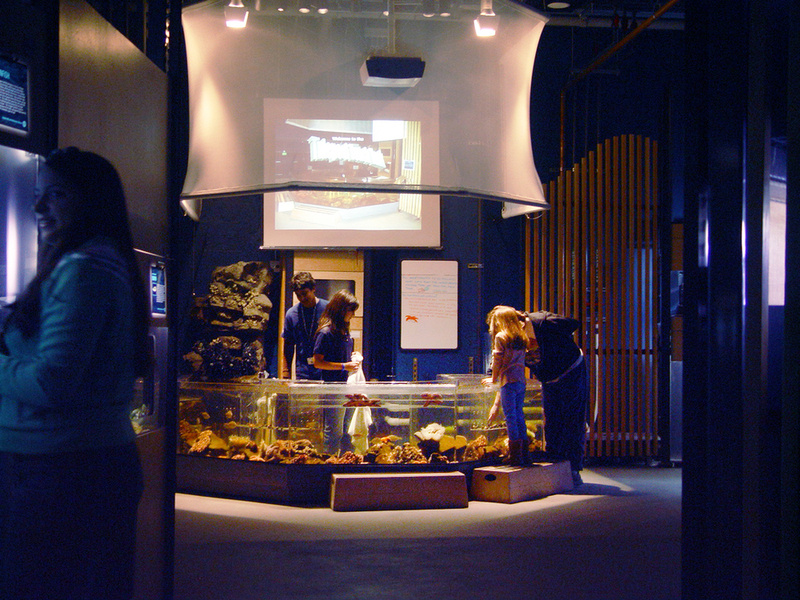 Our design incorporated see-through walls around the tanks and required that the staff access the living exhibits from the same side as visitors. In addition our team added unique vantage points for viewing the creatures by adding additional windows, encouraging new possibilities for exploration. 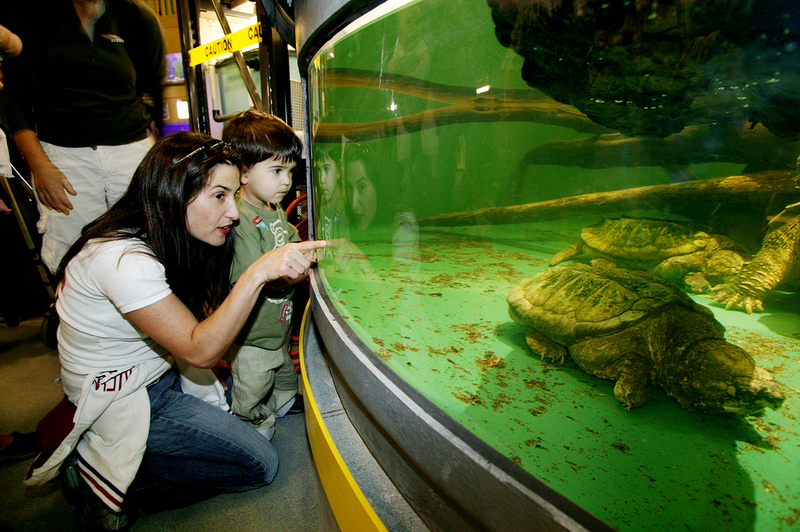 The touch tank offered a design calibrated for maximum interaction between guests, docents and the creatures at the center of the learning environment. The newfound interaction between the knowledgeable caretakers, the curious public and the exhibited creatures enriched the guest experience through increased connections and discoveries.